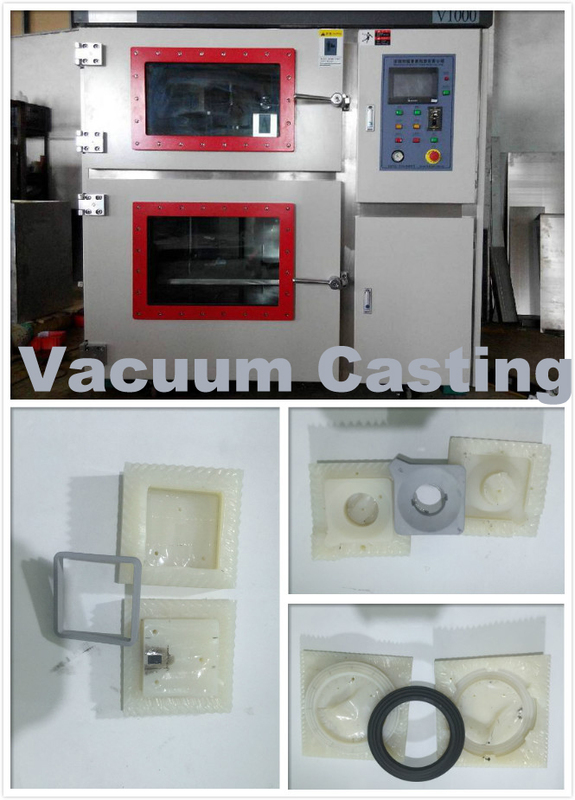 Product categories of Vacuum Casting, we are specialized manufacturers from China, Vacuum Casting, Vacuum Investment Casting suppliers/factory, wholesale high-quality products of Vacuum Pressure Casting R & D and manufacturing, we have the perfect after-sales service and technical support. Look forward to your cooperation! Vacuum Casting is a multi-step process requiring thorough engineering. In general, we make a master model by stereolithgraphy and then apply whatever surface finish is needed to it. We then pour liquid silicone rubber around the master model in a casting box. Once cured, we split the silicone rubber mold and can then use it to cast up to more polyurethane parts. We have the ability to simulate a full range of thermoplastics and elastomers, and we can also over-mold one material over another to simulate, for example, rubber over ABS, or opaque plastic over transparent plastic. It is also possible to over-mold threaded inserts. After casting, surface processing like painting or printing is common, although polyurethane casted parts can be colored and textured in the mold. We also specializes in producing high-gloss clear parts by using a CNC machined and polished acrylic master model. Polyurethane casted clear parts are very high quality. Parts made by vacuum casting are practically indiscernible from production injection moldings. We supply rapid rubber mold service and silicone mold service.